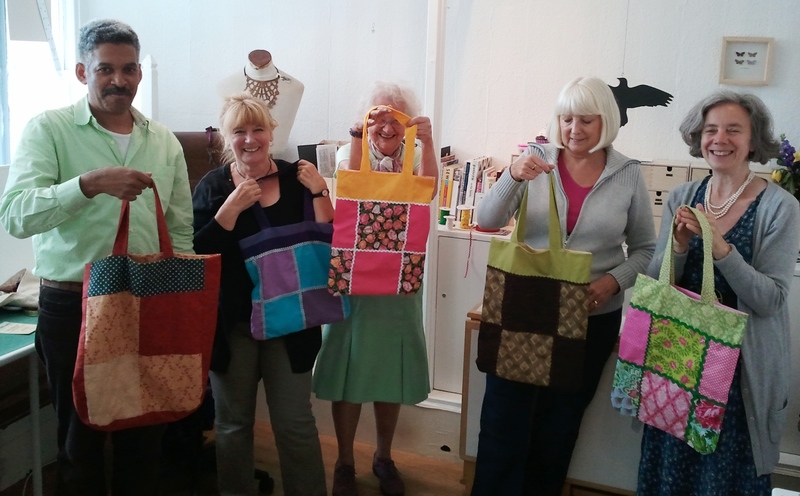 Sara Cook ran a successful Patchwork Bag workshop at MIY Workshop a few weeks ago and I completely forgot to upload this picture of her students looking very proud of their end results! All five bags finished in the day. 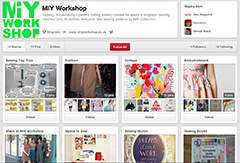 Sara will be running this workshop again on Saturday 22nd September. This entry was posted in Full Day Classes, MIY Workshop, Student work and tagged MIY Workshop, patchwork bag, patchwork workshop, Sara Cook. Bookmark the permalink.